We got a pretty good look at the "lone gunfighter" who will star in Star Wars: The Mandalorian. Now, producer Jon Favreau has shared an image of the character's deadly weapon, which pays homage to the past. Funny enough, the weapon looks a lot like the Amban phase-pulse blaster, which has appeared in a few Star Wars stories throughout the years. It first appeared in 1978's much-maligned Star Wars Holiday Special—something that's most definitely not canon—and then in the Star Wars: The Force Unleashed video game. The game was originally canon until Disney purchased Lucasfilm, later axing the game from official Star Wars canon. By appearing in The Mandalorian, Favreau is making the weapon an official part of canon again, which is great for fans, because the weapon looks awesome. I can't wait to see cosplayers make replica models of the Amban weapon. Favreau posted another picture to his Instagram and the subject is even more obscure than the weapon. In it, the picture features what looks like a fancy kitchen appliance, but it's actually known as a data core. We previously saw one in The Empire Strike Back. We still don't know who's under the mask as The Mandalorian's "lone gunfighter," but he's wielding one hell of a weapon. 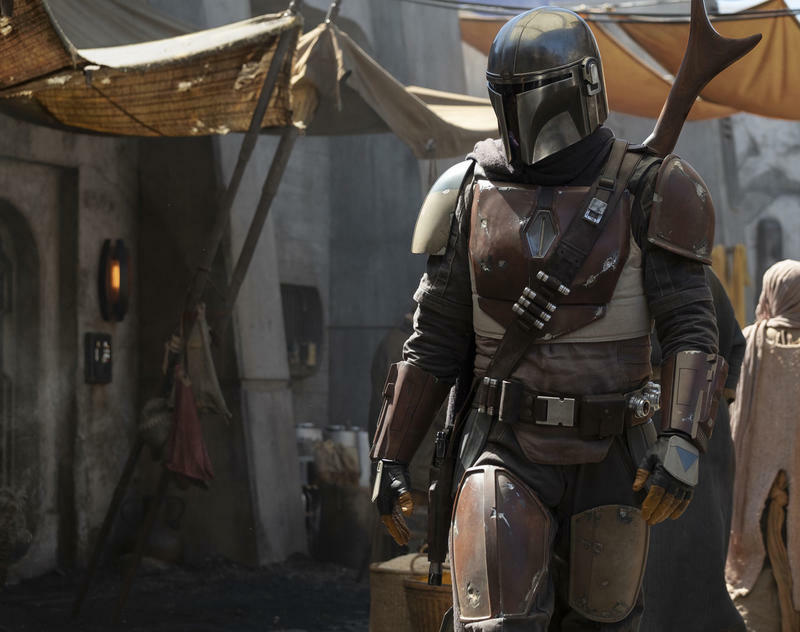 Audiences will get to see the blaster in action when The Mandalorian hits Disney's streaming service, which launches in 2019.